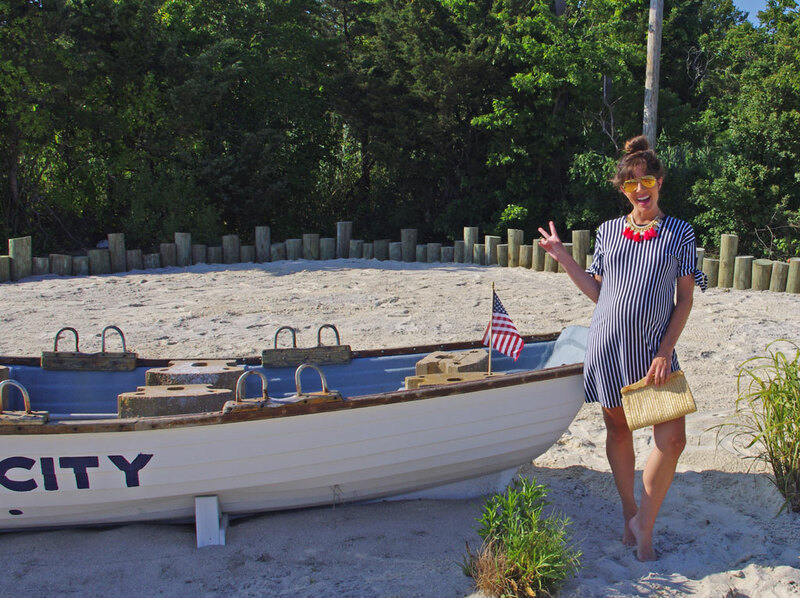 Nothing quite says Independence Day like navy and white stripes! 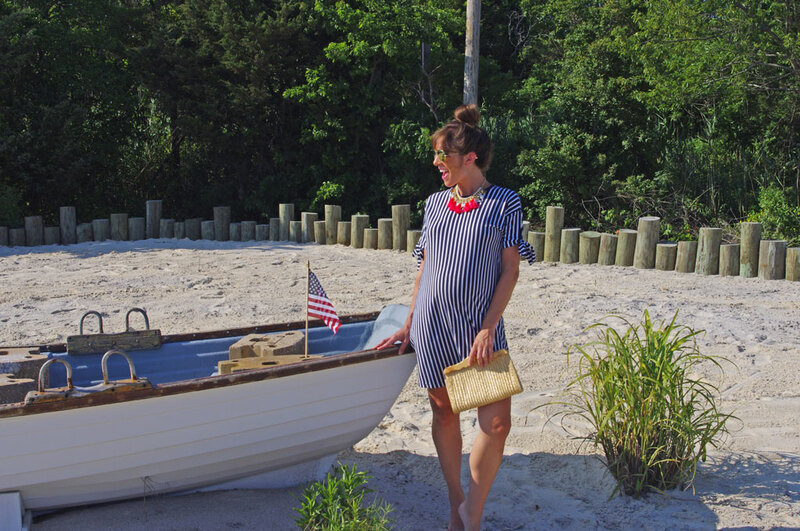 I scored this dress on Asos and it’s easily become a summer staple in my very limited maternity collection. It can be dressed up or down (I even love it with my Converse sneaks) … or no shoes at all. 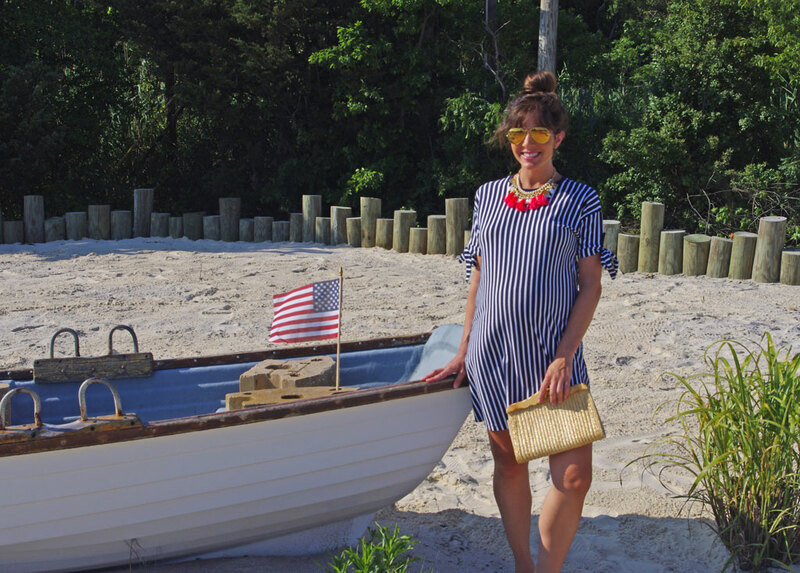 Fellow bump ladies – this one’s for you! Happy 4th friends!